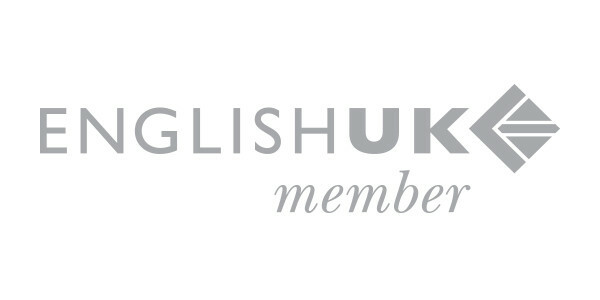 On behalf of our staff, I would like to welcome you to Communicate School of English, Manchester. We are here to offer you English courses conducted in a dynamic and friendly atmosphere. I am proud of the variety of programs we provide, good facilities and the passionate, qualified team of teachers. I look forward to greeting you on your first day at Communicate. "On behalf of our staff, I would like to welcome you to Communicate School"
Hi, I’m Marza, I am the Principal and the Director of Studies at Communicate. I have a Master’s degree in Teaching English. I have taught English in Poland and the UK. Now my most important role is making sure the school works efficiently, students feel comfortable here and achieve their goals. All teachers that work at Communicate must have a University degree and at least Level 5 teaching qualification. "I have lived in the USA, New Zealand and Australia, where I had some unusual jobs. Ask me about them!" My name is Richard. I am from Manchester and I have been involved with the school since its foundation in 2010. I have an Automatic and Control Systems Engineering degree from the University of Sheffield. I have lived in Australia, New Zealand and USA. Also, having travelled extensively I know what it is like to arrive in a new place for the first time. I am a season ticket holder at Manchester City. If you want to watch a football match or play in our football team come and see me! 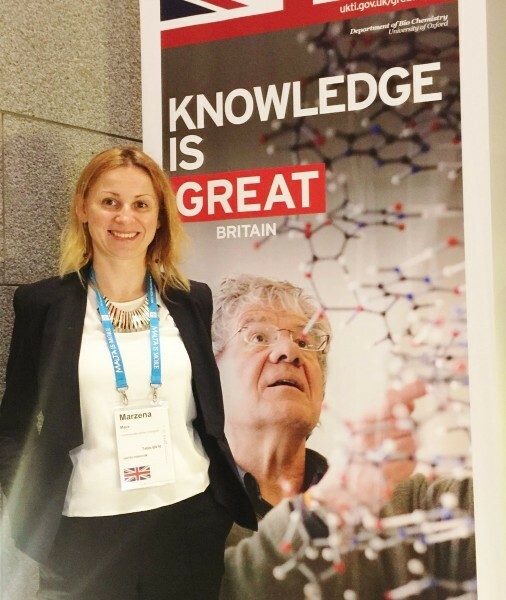 "I have worked in the UK and Spain as a teacher and academic manager. I have a Trinity CertTESOL and DipTESOL." My name is David and I’m the Director of Studies. I have been involved in English language teaching for more than 6 years, and I have worked in the UK and Spain as a teacher and academic manager. I have a Trinity CertTESOL and DipTESOL, and I also hold BA and MA degrees in History from the University of York. I love learning languages and travelling – I have backpacked across South America and visited lots of places in Europe. My Spanish used to be fluent but these days it’s a bit rusty! My other passion is football – I support Everton FC, although I love Spanish football just as much and always look out for how Recreativo de Huelva are doing. "I am passionate about language and communication. I believe meeting and speaking with people from other cultures and countries enriches us enormously." Hi, my name is Virginia and I am the School Office Manager. I help all staff with the smooth running of the school and if you have any problems, worries or simply want to say hello, my office door is always open! I have a Master’s degree in Linguistics from the University of Manchester and I am also a CELTA qualified teacher. After teaching for a few years I have decided to move to the other side of the force and focus on management. I am passionate about language and communication. I believe meeting and speaking with people from other cultures and countries enriches us enormously. I love Communicate because it gives everyone a chance to meet many different people, and gives students the tools to create great opportunities. "In my spare time I volunteer for a few arts organisations here in Manchester, I attend a lot of gigs and enjoy doing photography." Hi! My name is Federica and I am a Student Support Officer. Everyone thinks I am joking when I say that I was born and bred in Italy, but it is the actual truth! My role at Communicate involves booking appointments, answering any queries and helping the students when they have problems. If you cannot remember where your class is or you just need some practical information (from opening a bank account to the best places for shopping), come and ask me. My academic studies were in the Arts and I am passionate about every form of creativity. In my spare time I volunteer for a few arts organisations here in Manchester, I attend a lot of gigs and enjoy doing photography. "I have a love of learning languages. Currently I can speak French, Vietnamese, Japanese, Spanish and English! Come to me if you want any information about school social activities or weekend trips." "Hi I'm Valentine from France. I am here for 3 months to help the busy admissions team." "I can teach you some Mancunian phrases that you will not find in the coursebook." 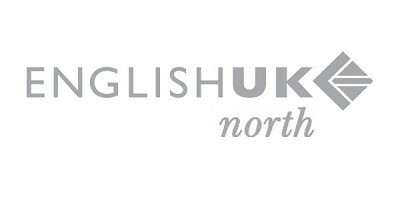 My name is Nicola (‘Niki’), I am from Manchester and I am a CELTA qualified English teacher. I studied English language and literature at university, therefore for me, it’s a passion to teach English and not just a job. I have taught both here in Manchester and in Spain in the past to both adults and young people, of all different levels. I also speak Spanish to a reasonable level. I will prepare you for IELTS test and Cambridge FCE and CAE exams. In my free time I enjoy going to local gigs, the cinema and dancing, especially dancing, it’s good for the soul! "I love seeing students put their English skills into practice - ask me about places in Manchester where you can do just that!" Hi, I’m Cathy. I’m a CELTA-qualified EFL teacher from Manchester and I have been lucky enough to work in some fantastic places around the world including Luxembourg, Germany and Sweden. After working in the translation industry, I knew what I really wanted to do was to help students with their language learning in the same way that my teachers helped me. Teaching at Communicate lets me do exactly this, and I try to make learning English as interesting and useful as possible. It’s great to see students achieve their goals and have new experiences because of their English skills, and of course if I can teach local phrases and a Manchester accent I’m happy! When I’m not working, you can find me in the kitchen (usually eating, but sometimes cooking), outside (water skiing and running half marathons) and travelling to new places. "I have lived in Spain, Vietnam and Thailand. I love learning about new cultures, come and tell me about yours!" "Communicate School is like a family, which is why it's such a good place to study." Hello, my name is David. I was born in Manchester, but I’ve moved from place to place. I’ve lived in Scotland, Teesside, Oxford and West Africa. I learned French in Niger, but please don’t test me! I studied for my CELTA qualification in Manchester. I love learning the best ways to help people speak, write and read English. Communicate School is like a family, which is why it’s such a good place to study. I like my lessons to be enjoyable so if you’re not having fun then I’m not doing my job properly! Alongside traveling, one of my favourite things to do is playing a guitar. I also like to run and I hope to do the Manchester marathon next spring. Maybe you’d like to join me? "Hi, I'm Amy. Until recently I was teaching in Spain but now I have moved back to Manchester." "I have taught English as a foreign language in South Korea, Spain and the UK. I look forward to teaching you at Communicate." "I have helped many students improve their pronunciation and soften their accents." My name is Prue, I’m a native speaker of English and I’m an Accent Reduction coach at Communicate School of English. I teach students RP – received pronunciation. I hold a Postgraduate Diploma in Acting for the Media from East 15, one of the UK’s leading Drama Schools, and work across the public and private sectors teaching Acting, Communication, Speech and Languages. I am also a CELTA qualified teacher. I have helped many students of various backgrounds and nationalities to soften their accents which include: French, Indian, German, Polish, Czech, Japanese, Spanish, Chinese, Nigerian, Russian and many more. I will help you communicate more effectively and speak confidently in public.